Fáiltímid i gcónaí roimh thuismitheoirí/chaomhnóirí i gColáiste Mhuire. Is féidir le tuismitheoirí glaoch a chur nó coinne a dhéanamh chun labhairt le múinteoir nó leis an mBlianmhúinteoir cuí trí ghlaoch ar oifig an Rúnaí. Níl cead ag aon duine nach ball d’fhoireann na scoile é dul go seomra ranga gan chead ó údaráis na scoile. Iarrtar ar thuismitheoirí teacht go dtí an Oifig agus údaráis na scoile a chur ar an eolas faoi aon ghnó atá acu sa scoil. Bíonn cruinnithe múinteoirí / tuismitheoirí ar siúl uair sa bhliain do gach bliainghrúpa. Seoltar tuairiscí scríofa abhaile faoi dhó sa scoilbhliain, um Nollaig agus sa samhradh. Seoltar tuairiscí scríofa abhaile níos minicí do dhaltaí i mBliain 3, 5 & 6. Iarrtar ar thuismitheoirí an Dialann Scoláire a sheiceáil agus a shíniú gach seachtain (Bliain 1 gach oiche) agus a chinntiú go ndéanann daltaí an obair bhaile atá leagtha síos dóibh, go bhfuil gach téacsleabhar acu a iarrtar orthu agus go dtagann siad ar scoil in am gach lá agus iad gléasta mar ba chóir. Leis an Idirbhliain bíonn cabhair á lorg againn chomh maith go háirithe ó thaobh taithí oibre a chur ar fáil do dhaltaí agus i gcúrsaí gnó go ginearálta. Más féidir leatsa cabhrú linn in aon cheann de na bealaí seo, bheimís buíoch as glaoch gutháin ag uair ar bith. Parents/guardians are always welcome in Coláiste Mhuire. Parents should feel free to ring or make an appointment to speak to a teacher or the relevant Year Head if the need arises by phoning the Secretary's Office. Nobody except members of the school staff may go to a classroom without the permission of the school authorities. Parents coming to the school for any reason must come to the Office and inform the school authorities of their presence and business in the school. Formal Parent / Teacher meetings are held once a year for each year group. 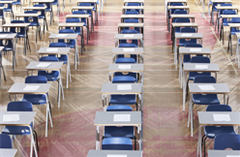 Written reports are sent home at Christmas and in the summer for all pupils. 3rd, 5th and 6th Year pupils have written reports send home more frequently. Parents are asked to check and sign the Dialann Scoláire once a week (First Years daily) and to ensure that to pupils complete the prescribed homework to the best of their ability, that they bring in the books and copies required every day and that they arrive in time and in proper uniform. In the Transition Year the help of parents is essential in providing work experience placements for pupils and in supporting ‘business affairs’ generally. If you feel you could contribute to the school in any of these ways, we would love to hear from you at any time. Rinne Bord Bainistíochta Choláiste Mhuire cinneadh, ar bhonn sláinte agus sábháilteachta de, cosc a chur ar pháirceail sa chlós ag tús agus deireadh an lae scoile. 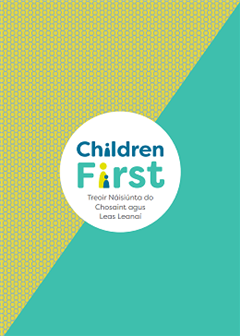 Mar sin, níl cead ag tuismitheoirí tiomáint isteach thar geataí na scoile idir 08:00 agus 08:45 agus idir 15:00 agus 16:00. Faoi láthair, tá cead páirceála las muigh de na hamanna sin agus ag ócáidí ar leith ar nós cruinnithe tuismitheoirí-múinteoirí, oícheanta eolais, coinní, srl. 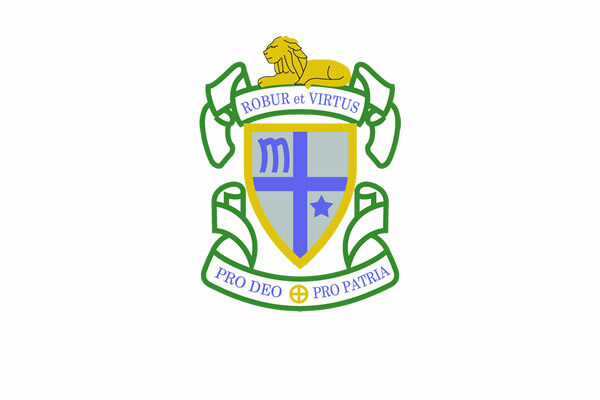 The Board of Management of Coláiste Mhuire decided, for health and safety reasons, to forbid parking on the school grounds at the beginning and the end of the school day. Therefore parents may not drive through the school gates between 08:00 and 08:45 and between 15:00 and 16:00. For now, parking is being permitted outside of those times and for special events such as parent-teacher meetings, information evenings, appointments, etc.